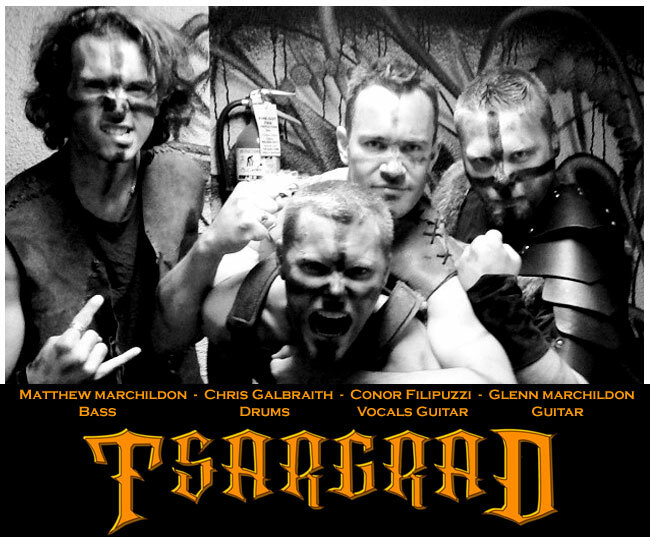 Born from steel and thunder, Tsargrad is the vision come to life from Conor Filipuzzi, and Glenn Marchildon. In summer of 2012 Glenn and Conor decided to part ways with their current band, and create something that is true to what they believed in musically… a powerful simple metal, that told the story of the past through instruments of the present. In their short amount of time, as a band they have been able to win a battle of the bands record an E.P titled “Axes High” and open for international touring acts such as Sevens Kingdoms (USA) and Arkona (RUS) with rave reviews. Blending powerful rhythm, heavy hitting drums, blinding guitars solos and lyrics that tell the stories of battles past is what Tsargrad brings to the stage night after night. And you can expect to hear more, as Tsargrad is just getting started.